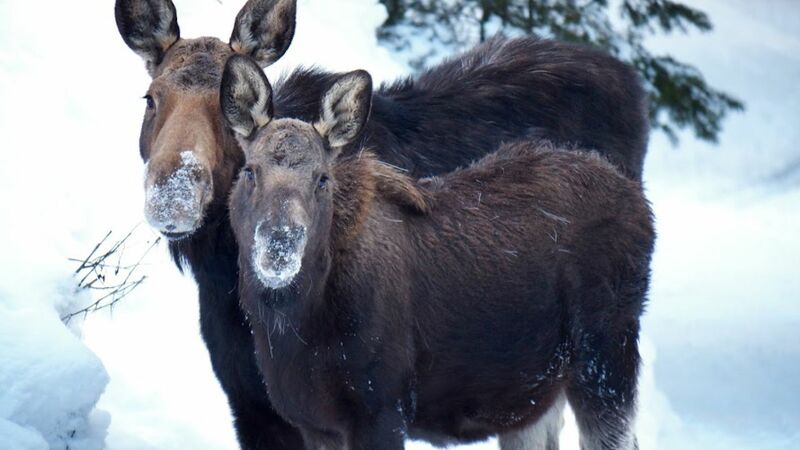 Visit two of the U.S.’s most treasured national parks and experience winter wildlife up close. 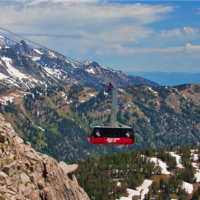 Jackson Hole is consistently ranked as a top skiing and snowboarding destination, but there is so much more to do here during winter. 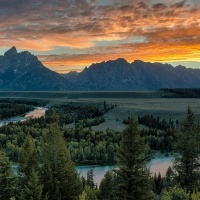 This itinerary will take you through two of the U.S.’s most treasured national parks and includes unique “only in Jackson Hole” experiences too. If this sounds like the perfect winter trip, then you can book this itinerary online or over the phone at (888) 838-6606. Start your morning off right with breakfast and coffee at one of downtown Jackson’s many walkable cafes. 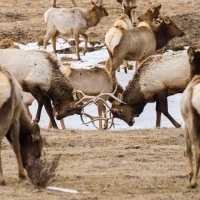 Get ready to experience two of Jackson Hole’s most rewarding wildlife experiences. First, dress in warm clothes as you head to the National Elk Refuge to tour the 24,000+ acre sanctuary on a horse-drawn sleigh. The tour guide will offer warm blankets on colder days and share eye-opening information about the more than 7,000 elk that take shelter on the refuge each winter. You will get an up-close view of these majestic animals and plenty of opportunities for photos and videos. Directly across from the National Elk Refuge, the National Museum of Wildlife Art sits on a butte, with gorgeous views of the refuge and the town of Jackson. Enjoy lunch at Palate, the on-site restaurant and then tour the collection, full of inspiring works from artists around the world. A visit to the museum is a great way to start any trip to Jackson Hole because you will gain a sense of the landscapes and wildlife you will encounter throughout the rest of your stay. In the evening, look for live music at The Wort Hotel’s Silver Dollar Showroom or the Cowboy Bar, right on Town Square. Your snowshoe tour of Grand Teton National Park begins at 10 am. The tour includes transportation, snowshoes, gaiters, poles, bottled water, and snacks. Everything you need to enjoy the experience! Plus the snowshoe guides are experts in wildlife and ecology and will share so many cool facts and inspiring details as you take in the park’s beautiful winter landscape. 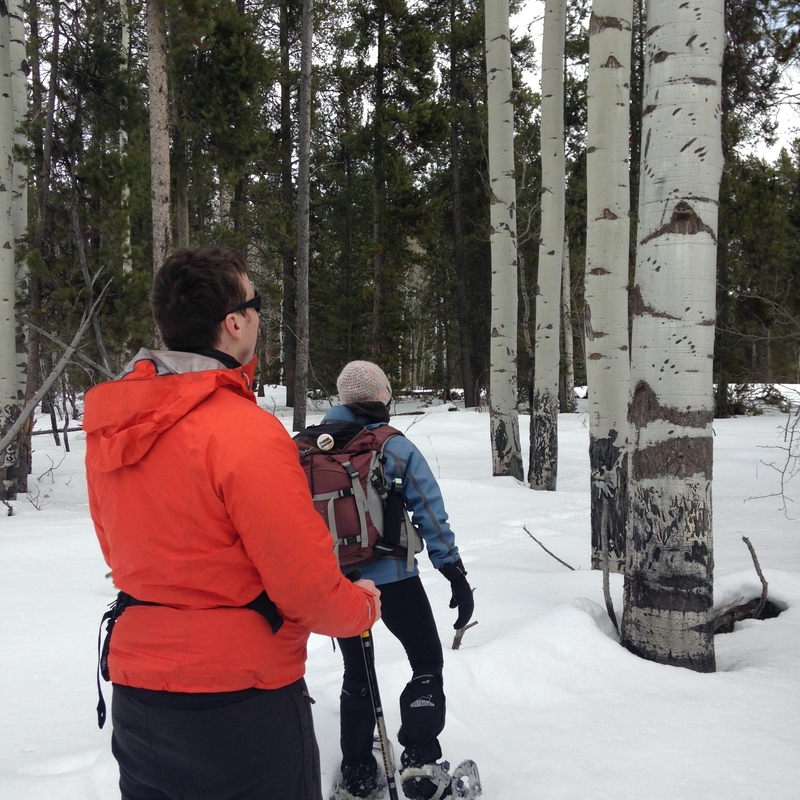 If you’ve never tried it before, snowshoeing is just like hiking, but on the snow. It offers a light workout but is gentle enough so that you can enjoy the views. For your comfort, we recommend wearing warm winter gear, including snow pants. After your tour, take some time to relax. That’s what vacation is all about. Unwind with a soak in your hotel’s hot tub or treat yourself to a massage one of Jackson’s local spas. If you are traveling with family, then head over to Snow King Mountain in downtown Jackson for an afternoon of fun. Ride the Cowboy Coaster or go Snow Tubing for an adrenaline rush! In the winter months, Yellowstone National Park is only accessible to special vehicles with treads. This makes for a serene, and peaceful experience of the park, without any crowds. Your guide will provide everything you need for a safe and memorable experience including transportation in a warm, heated snowcoach, water, snacks, and scopes for viewing wildlife. Learn about the history of the park, see geothermal features like the world-famous Old Faithful geyser, and watch as bison saunter over the pristine, snowy landscape. The tour will take several hours and includes lunch and transportation to and from your accommodations. If this sounds like fun, then you can book this package online or give us a call at (888) 838-6606 to learn more or customize your experience. Three, four, and five-night options are available, and you can add other activities to your trip including skiing and snowboarding, dog-sledding tours, snowmobile tours, and more!